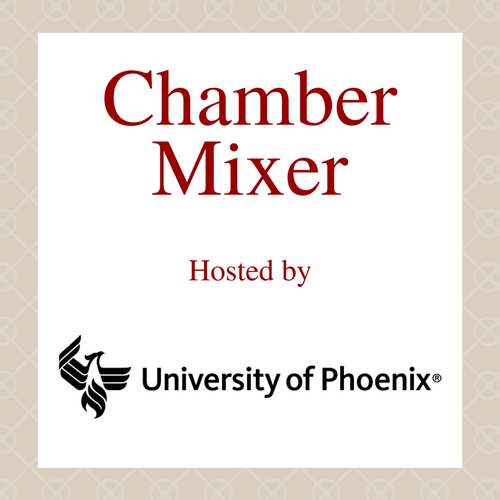 Join us at the University of Phoenix for the Chamber's March Mixer! It will be the perfect place to network and make new contacting in the Business and Chamber Community. All Chamber Mixers are held on the 4th Wednesday of every month from 4pm-6pm.